Juventutem, as most of our readers will know, is an organization for young adults who have an interest in and attachment to the ancient Roman liturgy -- and I don't think it too much of a stretch to suggest for our Western liturgical patrimony generally. It is a very good initiative and one which I would encourage parish priests and chaplains to consider for their own parishes and communities. 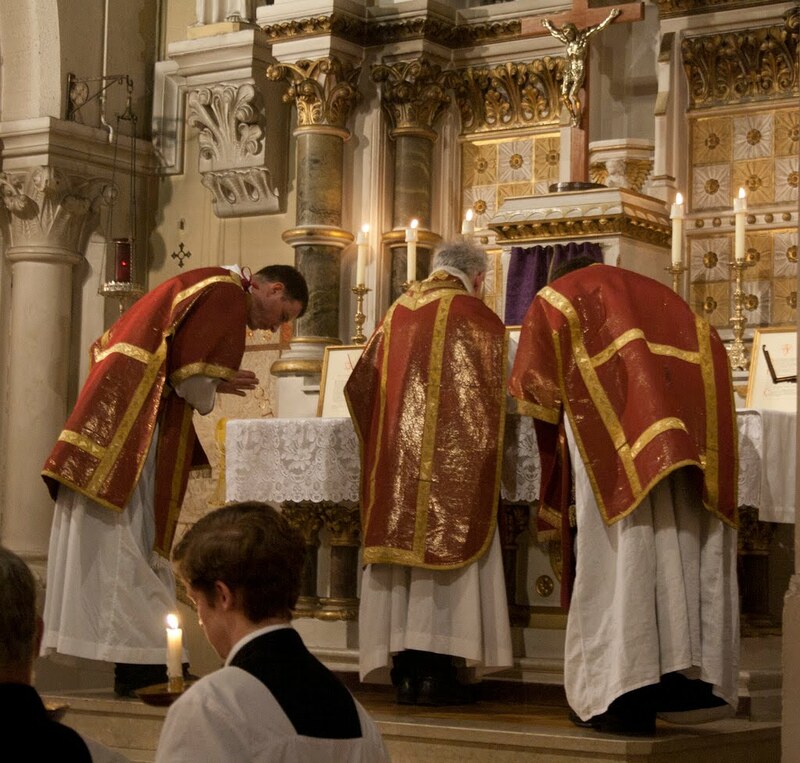 It has the potential to be a great outreach and apostolate on a variety of levels, including as a venue for liturgical catechesis and the liturgical apostolate -- which are so necessary to the new liturgical movement. We had another great event this month - the Latin Mass Society had organised a second Solemn High Mass for the Good Counsel Network, which was offered by Fr Patrick Hayward with Fr Gregory Klaja and Fr Andrew Southwell as Deacon and Subdeacon respectively. 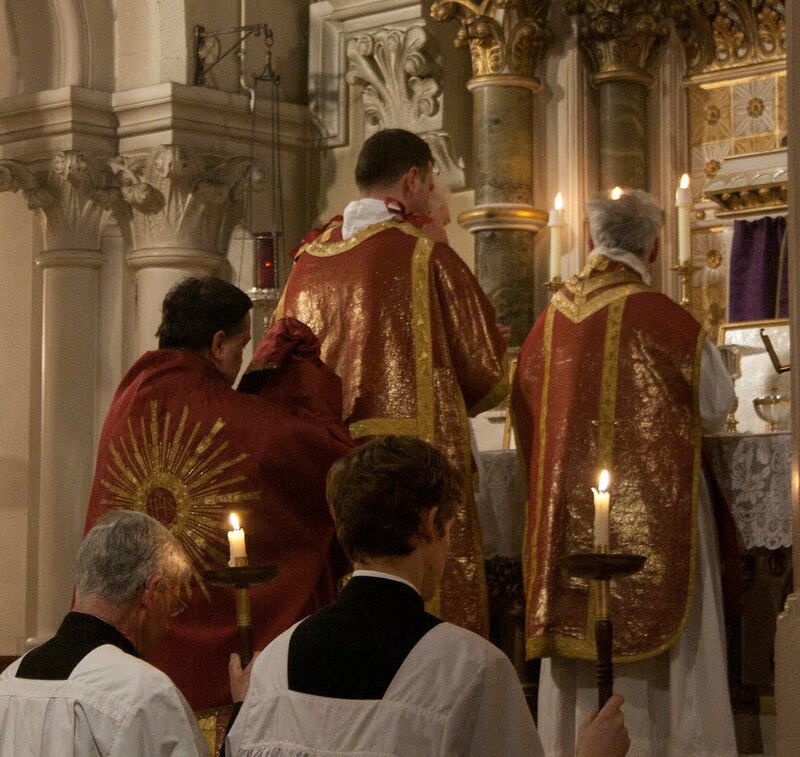 Juventutem London extends a warm thank you to these priests and to Corpus Christi's parish priest, Fr Alan Robinson, for allowing the Mass to take place and for hearing confessions beforehand. 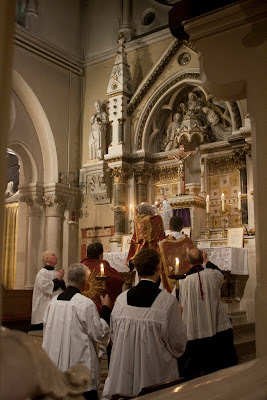 Here are some photos of the Mass. After the Mass, there appears to have been a good turn out of young men and women for their social.